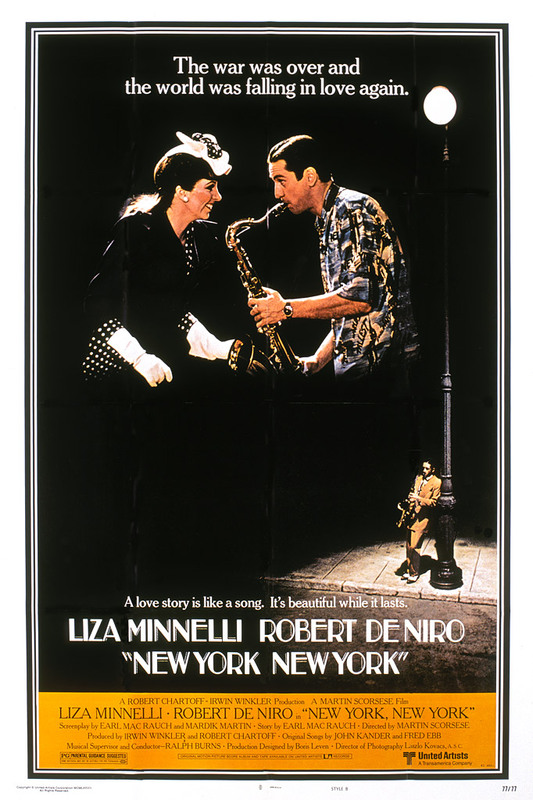 In director Martin Scorsese's drama, filled with the supercharged glamour of the Big Band era of the 40's, we meet Jimmy Doyle (Robert De Niro, "Raging Bull"), a mercurial and talented saxophonist who has traded in his uniform for a Hawaiian shirt. He prowls a Manhattan nightclub floor, sizing up his amorous prospects for the evening and ultimately sets his sights on Francine Evans (Liza Minnelli, "A Matter of Time"), a bravely independent band vocalist with the USO. The meeting does not go well, but the attraction between them cannot be denied. A practitioner of the new bepop style of jazz, Jimmy finds success slow in coming; however, Francine achieves success early as a recording artist and movie star. Will the music and Francine's success come between them? Jack Haley Jr. and Mary Kay Place co-star.